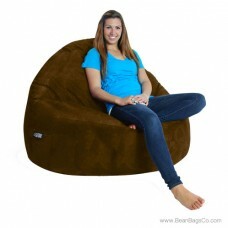 The 2-seater Sitsational ModFX bean bag lounger is one of the best casual furniture choices you can make, and choosing it in light brown suede is an even better decision. This beautiful and functional piece combines with all your present furniture and creates a relaxing and fun atmosphere in your den, bedroom, family room, or anywhere you need extra seating. Handcrafted and precision-sewn, this lounger offers a beautiful and comfortable solid fabric suede exterior that cradles your skin in luxury. 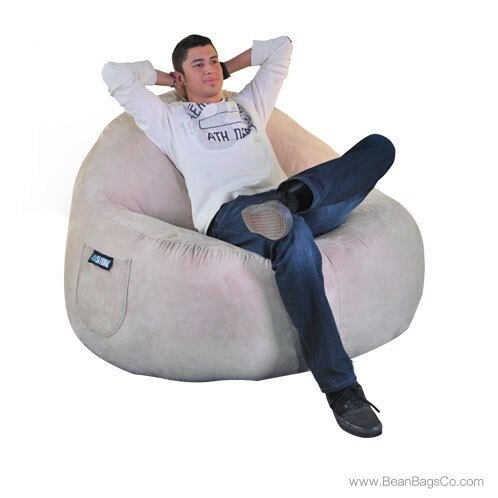 Do not let the comfort fool you, however; this lounger is built to last. The 100 percent recycled fiberfill shredded polyester interior not only withstands years of wear and tear without losing shape but also offers great ergonomic support for your back, neck and head. A handy side pocket fits your remotes, accessories, and magazines so that you can relax and have everything to hand. Two sizes make this double seater perfect for any family or group. This lounger is also available in other colors: chocolate, lipstick red and light brown.